Airbus has been contracted by the European Space Agency (ESA) to produce a demonstrator for the future European Governmental Satellite Communications (GOVSATCOM) program. 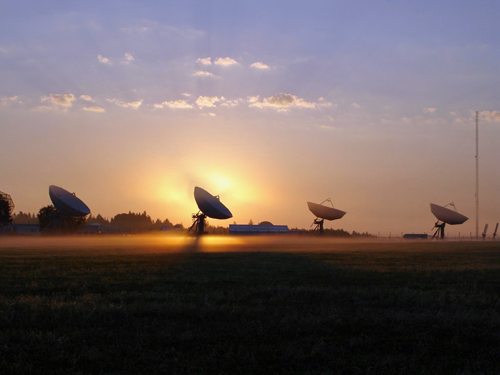 Supported by the European Commission, the European Defence Agency (EDA) and ESA, GOVSATCOM aims to provide key European countries, organisations and operators with secured satellite communication services. The program should be launched by 2020 and follows in the footsteps of major European programs, such as Copernicus, Galileo and EDRS-SpaceDataHighway. The demonstrator contract is to last two years and is comprised of two parts. The first part involves producing a system of dynamic sharing of satellite capabilities. The core of the ground system is based on the Newtec Dialog technology developed by the Belgian company Newtec and will be installed at the Airbus site in Toulouse. It will be operated by various European governmental entities and employed particularly in overseas theaters of operations. An end-to-end service demonstrator will illustrate the attractiveness, flexibility and simplicity of the proposed services. The second part of the project concerns a technological development designed to improve the performance of Newtec Dialog platform. The objective is to draw all possible benefits from the pooling of capabilities for the future generation of governmental satellites, whose coverage areas will be configurable in real time. The innovation will enable mobile users to switch transparently from one satellite beam to another while at the same time protecting the confidentiality of their operations. This demonstrator contract follows on from the two design studies in which Airbus participated between 2015 and 2017 on behalf of the ESA and EDA respectively. These studies served to define and quantify the nature of the European governmental users’ needs and assess the various technologies and architectures of the GOVSATCOM programme, as well as the advantages of the ‘pooling and sharing’ model. The GOVSATCOM program should initially focus essentially on the pooling and sharing of communication capabilities provided by governmental satellites and commercial operator satellites already in orbit. The demonstrator project developed by the ESA and Airbus prepares for this first step that is also supported by the EDA with fourteen European Union countries (Austria, Belgium, Estonia, France, Germany, Greece, Italy, Lithuania, Luxembourg, Poland, Portugal, Spain, Sweden and the United Kingdom) and Norway agreeing in June 2017 to develop a demonstrator for pooling and sharing satellite communication capabilities. As a ground segment integrator and communications satellite manufacturer and operator, Airbus already supplies satellite communication systems to the governments of European countries such as France, Germany, the United Kingdom and Norway, as well as to the EDA and NATO.